Note: ToxicsWatch Alliance (TWA) and Occupational Health India (OHI) demands that the Government of India should desist from signing any free trade agreement with Canada unless chrysotile asbestos trade is banned. 93 % of the workforce in India is in the unorganised sector where workers are routinely exposed. When they go back to the houses, their families are also exposed to the killer fibers of asbestos. The asbestos products are present every building in India, it exposes the present generation and will expose the future generation as well. Canada will be remembered as the worst human rights violators for having subjected the occupationally and environmentally vulnerable citizens of India for all times to come. It is and will be a black spot on Canada's reputation forever if it does not change its role as a merchant of death. But trade in the controversial material also likely won't rise if trade deal is signed, they say. Canadian exports of asbestos to India won't be examined as part of an environmental assessment recently launched in connection with the Canada-India free trade talks, say experts—and that has some calling on the government to widen its scope. A Nov. 12 notice in the Canada Gazette, an official federal government publication, announced that Canada is now conducting a strategic environmental assessment as part of ongoing talks launched in September 2010 toward a Canada-India Comprehensive Economic Partnership Agreement. The government is inviting Canadians to submit their views by Jan. 11 on "any likely and significant environmental impacts" that the proposed trade deal, which enters its third round of talks in Delhi from Dec. 13 to 15, might have on Canada. In light of continued controversy over asbestos, some see the export of the material to India as a major environmental issue that is worth examining. 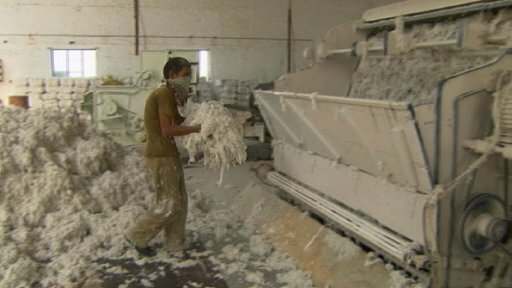 Canada exported $40.3 million worth of asbestos-related products to India in 2010, according to Industry Canada, and the World Health Organization says asbestos causes an estimated 8,000 deaths each year in India—a phenomenon described in a recent Australian Broadcasting Corporation documentary as an "epidemic." But the environmental assessment won't cover asbestos exports because the assessment's mandate is to only look at domestic environmental impacts, says Aaron Cosbey, associate and senior adviser for trade and investment at the International Institute for Sustainable Development. While these environmental assessments have been a regular feature of trade negotiations for a decade, since the assessment is limited to impacts in Canada, asbestos exports would only likely be tackled, if at all, by the Indian government, agreed Dan Ciuriak, a former deputy chief economist at the Department of Foreign Affairs and International Trade who sat on the committee that established the procedures and the manual for federal environmental assessments. India, however, doesn't conduct any of its own environmental assessments for trade deals, said Mr. Cosbey. The Canada-India joint study that was released at the launch of the talks also says that India's current policy is not to include environmental issues in trade talks. "I can't see this issue being addressed anywhere in the talks," he wrote in an email. That has William Amos, director of the Ecojustice environmental law clinic at the University of Ottawa, calling on the government to widen its scope. There is merit to the trade talks looking at the impact of asbestos exports to India—even if it could be argued that the environmental assessment itself did not have the mandate to do so, he said. "There's a purpose to a strategic environmental assessment, and I think its purpose is limited. There are bigger questions, and some of those questions don't extend beyond the scope of narrow [free trade agreements]; they go to the issues of, 'What are the impacts of increased Canadian exports of products to India, in particular, asbestos?'" said Mr. Amos. 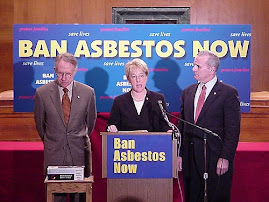 Prominent anti-asbestos campaigner Kathleen Ruff agreed that the trade talks should look into Canada's exports of asbestos to India. "It is a convenient way of having a double standard when the environmental impact of Canada's trading activities with India excludes the impact in India," she wrote in an email. When asked about the potential to examine asbestos exports as part of the Canada-India trade talks, a spokesperson from Foreign Affairs and International Trade wrote in an email only that "As is routine for Canada's trade negotiations, an environmental assessment of the Canada-India CEPA will take place. Other countries assess trade negotiations according to their own laws and regulations." But all of this is not to say that the asbestos trade between Canada and India would rise if the trade deal goes through. For that to happen, business would have to see an incentive to trade more. But Mr. Cosbey is quick to caution that the applied tariff rate for asbestos in India—the actual amount of duty that must be paid on the product—is at 10 per cent, relatively low compared to its technical upper limit of 40 per cent. The trade talks would thus have to hammer out a deal on the upper limit to get the applied rate even lower, he said, meaning it would be unlikely to happen. Environmental assessments are also typically angled toward more traditional issues associated with the environment, like greenhouse gas emissions, said Mr. Ciuriak. He said they typically examine three things: whether a trade deal would make the Canadian economic structure adjust toward more or less greenhouse gas-intensive factors; whether the trade growth that is expected to occur will lead to a growth in greenhouse gas emissions and energy consumption; and whether increased trade would lead to promoting the use of environmentally-friendly technology that may in fact offset other negative environmental outcomes. But he said an environmental assessment is for the most part a vague exercise since there is little data that can be used to directly examine the environmental impacts of a trade deal. As well, they do not bind the country to halt progress on a trade deal if the outcome is environmentally negative. The asbestos issue has been back in the headlines ever since a failed Nov. 1 NDP vote in the House of Commons on banning asbestos exports saw five Conservative MPs abstain instead of voting with their colleagues, according to a Nov. 20 Canadian Press report. CP also reported that on Nov. 14, industry scientists privately met with roughly a dozen Conservative parliamentarians. The Harper government supports asbestos exports, even though it's a construction material banned in Canada and in several other developed nations, and while the government is spending millions of dollars removing asbestos from federal buildings in Ottawa. The government demonstrated its support for the industry when it blocked asbestos from being included in a UN hazardous materials treaty on June 22. And Mr. Harper himself made clear his support when he visited an asbestos mining town in Quebec during the spring federal election campaign. The government maintains the product is safe if handled properly, similar to other potentially dangerous industrial products regularly used in manufacturing or heavy industry. The Chrysotile Institute, a non-profit industry group, says chrysotile asbestos can be encased in high-density products with no associated health risks, and can be used in fabrication safety if appropriate equipment is worn and procedures are followed. The group also says the world's asbestos mines have agreed to supply asbestos only to companies that show they are complying with national health regulations. However, the WHO says all forms of asbestos can cause cancer in humans, as well as other diseases like fibrosis of the lungs. It estimates that over 107,000 people die from asbestos-related diseases each year. 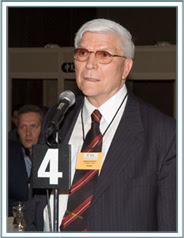 Other prominent health organizations like the Canadian Medical Association also condemn asbestos use. At the CMA's general assembly in August, delegates voted almost unanimously to support a motion that opposed the Harper government's decision to block the listing of chrysotile asbestos at the UN as hazardous. किसी उत्पाद लगभग 60 देशो में एसबेस्टोस का उपयोग इसके कैन्सरपोशी प्रभाव के कारण प्रतिबंधित है. भारत में भी सफेद ऐस्बेस्टॉस के उपयोग और आयात पर प्रतिबंध लगाने की तत्काल जरुरत है. आदिवासी जिला झाडोल में एसबेस्टोस खदानों में काम करने वाले मजदूरों के मरने का सिलसिला जारी है. 2007 में हुए सर्वे से पता चला की ५६ मजदूर एसबेस्टोस जनित रोगों के शिकार है. हाल के सालो में झाडोल के 126 मजदूरो में से 21 मर चुके है. उदयपुर के कलक्टर की मदद से, जून 2011 में 88 लोगो की तीन दिन तक जांच की गयी थी. इसी क्रम में नवम्बर 13 को एक और मजदूर की मौत हो गयी. राष्ट्रीय मानवाधिकार आयोग ने राजस्थान सरकार से एस्बेस्टस से हुए रोगी लोगो के सम्बन्ध में रिपोर्ट मांगी है. End to a conspiracy of silence? Brussels — Monday 28 November 2011, the Tribunal civil de Bruxelles (Brussels civil court) will deliver its verdict in the trial of Françoise Jonckheere versus the manufacturer Eternit. Prepared over a period of 11 years by Maître Jan Fermon and his team, the first-ever Belgian trial against an asbestos manufacturer saw a speech for the defence lasting almost three hours, on 24 October last. This verdict is eagerly awaited, because it could finally mark the end of a denial of the devastating effect of a fibre that still causes the death of 110,000 people every year, including over 800 in Belgium. Asbestos continues to be mined in Brazil, Quebec, Kazakhstan and Russia. - The carcinogenicity of asbestos since the 1940s and the link between asbestos and pleural cancer (mesothelioma) has been scientifically established since 1964. - Cancers resulting from asbestos (pleural, laryngeal, pericardial, etc.) can arise indiscriminately as a result of inhaling asbestos fibres, regardless of type. - The exposure of Françoise Jonckheere, “an environmental victim of asbestos” (she did not work for Eternit, but lived close to the factory where her husband worked in Kapelle-op-den-Bos) lasted for over 30 years, until 1991. So there is no statutory limitation. Françoise Jonckheere died of asbestos cancer in July 2000, 13 years after her husband. She had asked her five sons to see her legal action through to completion. Since then, two of the sons have died of the same causes, in 2003 and 2009. The documentary film ‘Poussière mortelle’ (deadly dust), about the asbestos trial in Turin, Italy (still ongoing) and the production of asbestos in Brazil and India, will be broadcast on Belgian TV channel La Une (RTBF) on Wednesday 16 November at 22.00 and on Arte on Tuesday 29 November at 20.40. Journalists please note: The conclusions of the trial are expected on 28 November around midday. This information will be confirmed the day before, on Sunday 27 November. TORONTO, ONTARIO--(Marketwire - Nov. 4, 2011) - Families of asbestos victims came together today for a media conference hosted at Toronto's Delta Chelsea Hotel to express their opposition to imminent plans to re-open a Québec asbestos mine. The mine investors are proposing to export asbestos from this mine to the developing world, particularly India. Mayor Mike Bradley can be reached at 519-332-0330 ext.308 or 519-464-7300 (cell). Stacy Cattran, whose father Bill Coulbeck, died of asbestos cancer in Sarnia three years ago: "We would like Mr. Chadha to meet us and see first hand the suffering that asbestos has caused to so many Canadians". Linda Reinstein, co-founder of the US-based Asbestos Disease Awareness Organization (http://www.asbestosdiseaseawareness.org), expressed her alarm at the investment proposal: "My husband Alan died from asbestos cancer, so I know first hand the devastating impact on asbestos victims and their families. I have travelled all over the world meeting families and health and safety experts. 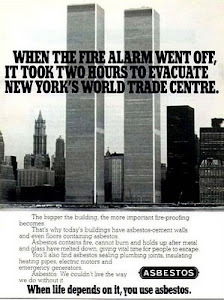 They are unanimous in condemning Canada's support of asbestos. Now is the time to end the exports. Governments can support the affected Quebec communities to develop alternative industries." The Québec government is expected to make a decision within a few weeks whether to extend loan guarantees to the asbestos investors to allow them to re-open the Jeffrey mine. The World Health Organization estimates that past asbestos exposure is causing over 100,000 deaths annually around the world. Here in Canada, organizations such as the Canadian Cancer Society and Canadian Labour Congress have called for an end to Canadian asbestos exports. Methods 577 asbestos workers and 435 control workers in original cohorts were followed from 1972 to 2008, achieving a follow-up rate of 99% and 73%, respectively. Morality rates were determined based on person-years of observation. Cox proportional hazard models were constructed to estimate HRs of cause-specific mortality, while taking into account age, smoking and asbestos exposure level. Results There were 259 (45%) deaths identified in the asbestos cohort, and 96 died of all cancers. Lung cancer (n=53) and non-malignant respiratory diseases (n=81) were major cause-specific deaths, in contrast to nine lung cancers and 11 respiratory diseases in the controls. Age and smoking-adjusted HRs for mortality by all causes and all cancers in asbestos workers were 2.05 (95% CI 1.56 to 2.68) and 1.89 (1.25 to 2.87), respectively. The risks for lung cancer and respiratory disease deaths in asbestos workers were over threefold that in the controls (HR 3.31(95% CI 1.60 to 6.87); HR 3.23 (95% CI 1.68 to 6.22), respectively). There was a clear exposure–response trend with asbestos exposure level and lung cancer mortality in both smokers and non-smokers. Jaipur: The National Human Rights Commission (NHRC) has sought a status report on the use of asbestos in the state and whether any compensation package is paid to victims of asbestosis here.The report has been sought from the chief secretary within four months. The NHRC's orders was in the context of a complaint filed by Gopal Krishna of the Toxic Watch Alliance (TWA). In his complaint,Krishna has drawn the attention of the commission towards the death of nearly 50,000 people every year in the world due to asbestos-related cancer. 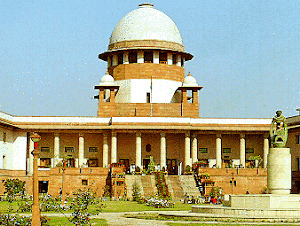 He has alleged that white asbestos is a fibrous material used for building roofs and walls and in various other forms.The complainant has sought the commission's intervention for a ban on the use of chrysotile asbestos (white asbestos) which is hazardous for the health of people and causes various incurable diseases.Citing contradictory position of various state governments,he has alleged that while mining of asbestos has been technically banned,many states allow the import of asbestos and that too from countries which do not prefer domestic use. The complainant has also requested for grant of a compensation package for the present and future victims of asbestosrelated diseases. It is in this context that the NHRC has issued a notice to the chief secretary of Rajasthan along with those of other states and the secretaries of the ministries of chemicals & fertilizers,environment and forest,health and family welfare,industry,commerce and labour. In Rajasthan,the Mine Labour Protection Campaign (MLPC) has been fighting for the rights of asbestosis victims.Though a ban on mining of asbestos was passed by the state government on July 9,1986,but it continues as the lease of individual mines are yet to expire. There are a lot of workers who have been affected by working for a long period of time in asbestos mines here, says Rana Sengupta,managing trustee of MLPC.In 2007,the National Institute of Occupation Health (NIOH),Ahmedabad conducted a medical examination of 167 such workers out of which 93 were suspected to be afflicted with asbestosis.However,the final test results were not made public though about 20 of those 93 are now dead, Sengupta said. Later after MLPC raised the issue,NIOH carried out a re-check on these workers but the results are once again awaited.The MLPC on its own has also conducted similar checks on about 250 workers and 50 % of them are suspected to be afflicted.Since then MLPC has been fighting with the government for a proper compensation package to these victims. From his tiny, ramshackle home in Ahmedabad 71 year old Naran Mehra cuts a forlorn figure. The former power station worker is sick after years of exposure to asbestos that's used as an insulator in his workplace. Unwittingly, he brought the danger home. His wife Sevita Devi used to shake asbestos dust from his clothes before washing them and now she's also stricken with disease. With no money for proper medical care the couple have given up hope for the future. Asbestos illness in India is under-diagnosed and mostly unrecognised as a health problem. But with the proliferation of factories making and using asbestos products and an import trade in asbestos building products booming, India has become a new frontier for what's sure to be a dramatic, devastating health crisis. 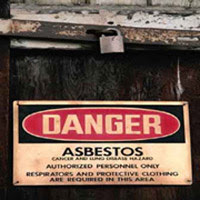 Indian asbestos workers have little in the way of safety equipment and if they contract a respiratory illness like asbestosis or a cancer like mesothelioma few are paid compensation. The asbestos industry is pouring millions of dollars into a campaign to assure India and convince any other developing nation that may be in the market that white asbestos, or chrysotile, is safe. Reporter Matt Peacock has spent decades investigating and uncovering many of the health scandals caused by asbestos. In fact much of his reporting has helped to elevate awareness about the dangers of asbestos in Australia. He's encountered some shocking scenes in his career but India's asbestos drama shocked even this seasoned correspondent. 'I first began covering the story of its trail of death in Australia thirty years ago. Back home and in other developed countries the problem now is how to get rid of it. But India it seems is racing headlong into repeating the same mistakes only on a massive scale.